It’s Melbourne Festival time again and as the CBD is taken over by gigantic demonic (and angelic) babies, as well as other assorted festival paraphenalia, I thought that we’d have a mini festival-of-festivals. 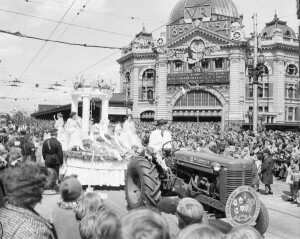 Since its birth in 1986 as a branch of the Spoleto Festival, Melbourne’s own arts festival has firmly secured its place on the international calendar, and this short history outlines its remarkably adventurous first 20 years. Looking back over some of the programmes brings back many fond memories of times spent in theatres, concert halls, churches and many other less conventional venues. Some of my own personal highlights: Nigel Triffit’s Fall of Singapore, William Christie and Les Arts Florissants performing Purcell and Charpentier. 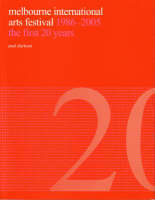 and that wild Bach year curated by Jonathan Mills, currently artistic-director of the Edinburgh Festival. And we mustn’t forget The Adelaide Festival of the Arts, still going strong after over 50 years, and still considered one of the most important cultural events worldwide. 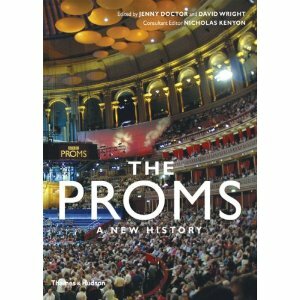 The London Proms remains one of the largest music festivals in the world, and this recent book examines not just its history but also its audience (known as “prommers”) as well as its ever changing character. The famous “last night” gets lots of attention, and the list of musicians who have appeared over its many years is a virtual who’s-who of classical music; including great Welsh dramatic-soprano Gwyneth Jones who rips into Rule Britannia on this YouTube clip from 1991. Just look at some of the names that Australia’s Big Day Out rock music festival has attracted since its inception in 1992: Nirvana, Blink 182, Muse, Violent Femmes, Iggy Pop and the Stooges, The Ramones, Soundgarden, Marilyn Manson, Foo Fighters, Metallica, Neil Young, Red Hot Chili Peppers, Silverchair, Powderfinger, You Am I, The Living End, Jebediah, Grinspoon, Nick Cave and the Bad Seeds, Wolfmother, etc., etc., etc. Enough said! 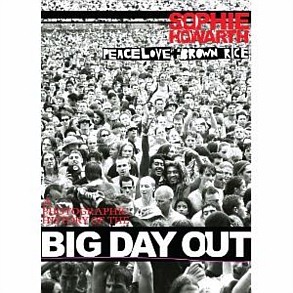 See if you can find yourself in this photographic celebration of what has become a really big day out. 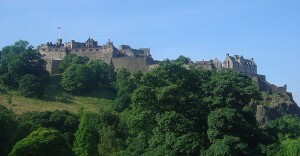 The grandaddy of all arts festivals would have to be the Edinburgh Festival, inaugurated in 1947 as a demonstration of optimism after the trauma of the second world war. It remains at the very top of what has become a very large mountain of festivals! As usual leaving the best till last, Moomba. Now that’s a festival!